Last week, I had the pleasure of visiting an area an hour north of New York City called the ‘Catskills‘. Specifically, I was visiting our manufacturing plant in Peekskill, and our hotel was in Fishkill. Sounds like ‘lovely’ and ‘peaceful’ areas doesn’t it? Obviously, I had to look into the history behind why a town would name itself ‘Fishkill’ let alone why are there so many areas ending with ‘kill’ in their name here? Well, during the colonial times, this area of New York was settled by the Dutch. In Dutch, the word ‘kill’ means ‘creek’ or ‘stream’. So, ‘Fishkill’ becomes obvious, and ‘Peekskill’ was named after some important guy with the last name of Peek…so, Peek’s Creek. So, mystery solved and there wasn’t some violent history associated with the area….whew!! As far as scenery goes, oh my goodness, how beautiful. 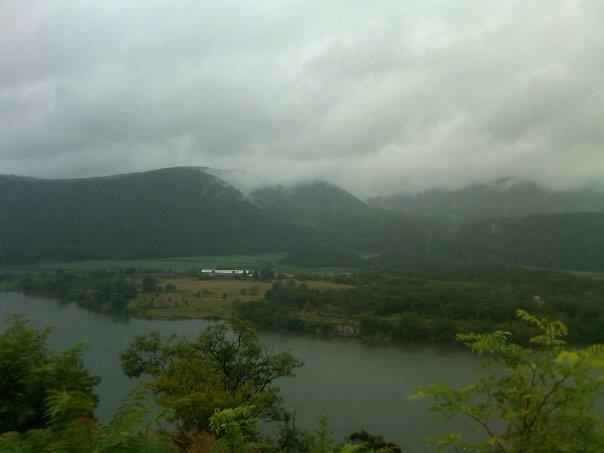 There’s the Hudson River that wanders through hills and mountains. The river is very wide and the mountains (3k feet elevation) go right to the river’s edge. It is summertime, but I can only imagine how beautiful the area must be in the Fall. Locals at the plant told me to come back in the winter when the river starts to freeze over. Bald Eagles can be seen diving into the icy water below catching fish that swim closer to the top when icing forms. It’s only an hour drive from our house so we may have to check that out. On my drive home, instead of heading south to cross the river at the Tappan Zee Bridge to avoid traffic heading back into the City, I took what the locals called ‘The Goat Road’ (Hwy 6), which is a winding road crossing over Bear Mountain over to New Jersey. Just north of here is West Point, and it’s just absolutely beautiful. It’s funny because when you tell people you are from the New York City area, they automatically think all of New York is the City. But, an hour north, it’s so not the case…same goes for much of the state. An hour later, and $1.50 in tolls, I was back home. It was a successful work trip to a new place that I’m sure to be back again as the seasons change…. Next: Next post: Whew! I Now Know Why Atlanta Is Called Hotlanta! !